Have You Considered Putting These Appliances In Your Home? The modern home seems to be full of all kinds of appliances. In fact, most of us would be lost without the appliances that are considered indispensable today. Where would we be without our freezer, our tumble dryer or our dishwasher? For our ancestors, the convenience which is at our fingertips would be amazing. A hundred years ago, laundry took several days, cooking involved managing a complicated stove and keeping food cold was a challenge. These days, with refrigerators, electric ovens and washing machines at our disposal, carrying out everyday tasks couldn’t be simpler. 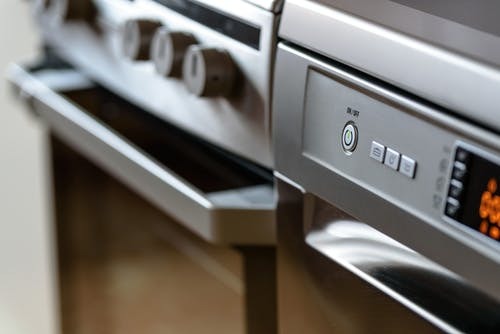 However, there are some appliances which you might not have considered investing in, but they could make a big difference to your everyday life. 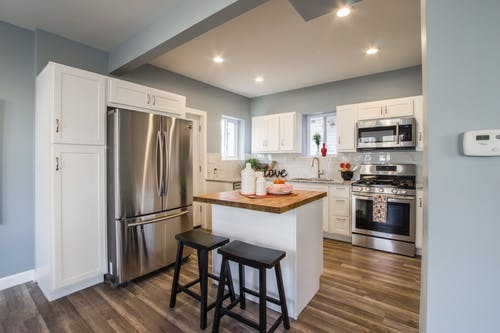 Here are just some of the appliances that you may not have in your home yet, but which you might definitely want to think about buying. So we all have a refrigerator in our kitchens, right? But not everyone has the newest and latest style of refrigerator which is seriously cool. Rather than having a freestanding regular refrigerator in the corner of your room or a built-in under-counter refrigerator, the latest idea is in-built refrigerator drawers. They look like regular kitchen drawers but when you open them, your cold food is stored conveniently inside. It’s streamlined, modern and cool as well as really convenient when you don’t want to move from your food preparation area to grab the milk. If you have a regular washing machine and dryer, it might be time to upgrade to the latest models – the smart washer dryer that allows you to set custom cycles and monitor your laundry remotely. Thanks to the integrated programming, you can even start your drying cycle while you’re at work so that your clothes will be ready for you to wear when you get home! The latest refrigerators are super intelligent and represent a great way to control your shopping. The integrated food manager shows you expiry dates and tells you which foods you need to eat quickly to avoid them spoiling. There is also a recipe search function based on what you have in your fridge and a shopping list function so you’ll know at a glance what you’ve run out of. The most up to date smart ovens allow you to monitor your food and set the cooking time and temperature remotely. It’s never been easier to have your food ready to put on the table when you arrive home at the end of a long, hard day. If you’ve ever struggled to carry those heavy pots and pans over to the sink and then had to juggle it around to fit it under the faucet in order to fill it up with water, a pot filler could be the ideal solution to your problems. This handy appliance is something convenient that every homeowner can benefit from and it could help to prevent against injuries and accidents in the kitchen due to slips and trips with heavy pans. The latest upgrade to the standard coffee machine – a coffee tap is installed into your countertop along with an app which allows you to choose the type of coffee you want to prepare. Once you’ve selected, it simply pours out of the tap. It couldn’t be simpler! The smart thermostat has become a popular choice in modern kitchens thanks to the clever technology that they use. Using machine learning, this amazing device can learn your favorite temperatures and then replicate them to keep your family comfortable all year round. You can also use the app on your smartphone or tablet to remotely control the temperature while the auto-away function ensures that your home remains energy efficient while you’re on vacation, helping you to reduce your energy bills. Are any of these appliances ideal for your home? If you’ve never considered adding them into your kitchen, now could be the time to take the step and invest in something new. After all, these appliances could be the indispensable must-have devices of the future! Seeing Spots? Is It Mold, And How Should You Get Rid Of It?